Qasr Al Watan is no mere tourist attraction, it’s a working Palace, home to the UAE Supreme Council and Federal Cabinet. It hosts state visits and official summits and is steeped in the nation’s history and culture. 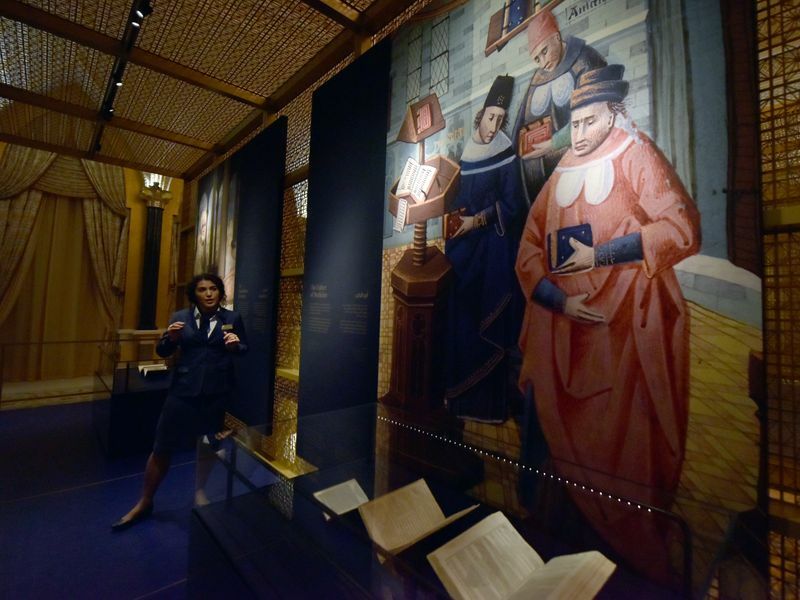 It’s the perfect place to learn more about the UAE’s rich heritage. 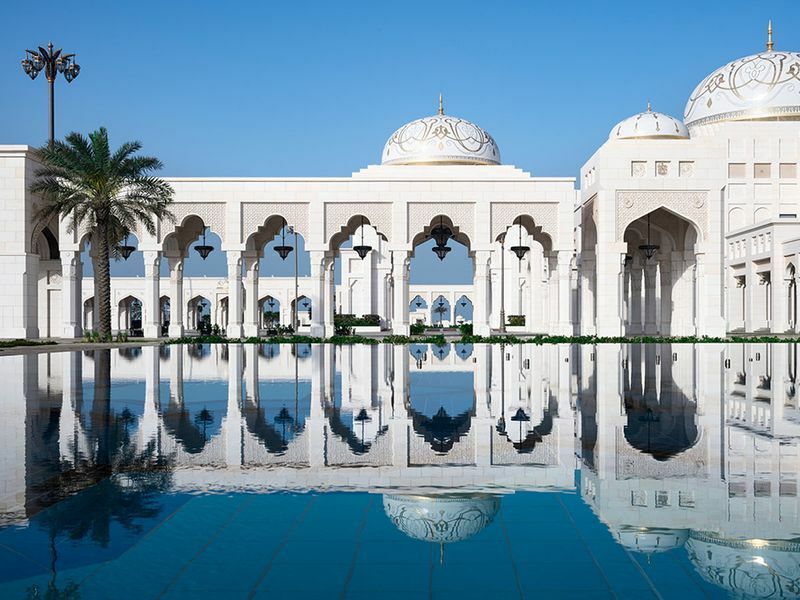 Qasr Al Watan is a contemporary palace built in traditional Arabian style. It features a high level of artistry and craftsmanship in its features, in a tribute to the region’s Arabian heritage. Such an ornate level of detailing does not come quickly. The facade of the Palace is constructed from granite and limestone built to last hundreds of years. 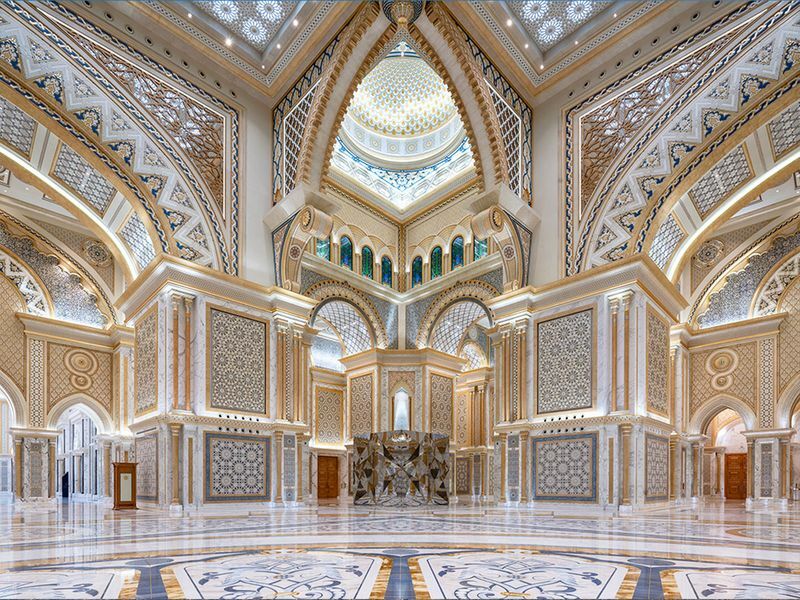 Its white colouring was chosen to symbolise peace and purity while reflecting Gulf traditions of light-coloured buildings to reflect heat. Each of the Palace doors took 350 hours to make and is constructed from solid maple, with hard-carved designs detailed in 23-carat gold. More than 5,000 geometric and floral patterns adorn palace surfaces, each of them unique to Qasr Al Watan, while inspired by traditional Arab iconography. 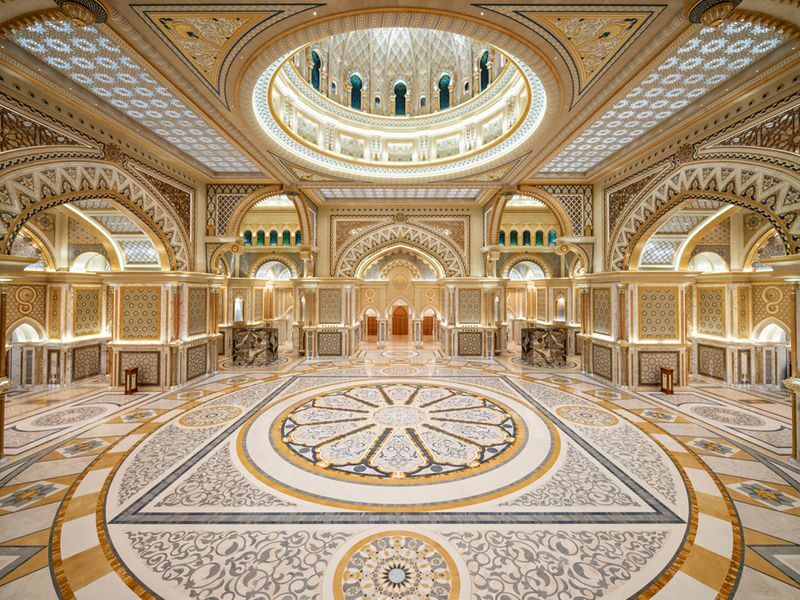 The star of the show is undoubtedly the Great Hall, the architectural heart of Qasr Al Watan. Measuring 100 metres long by 100 metres wide, its main dome is one of the largest in the world, with a diameter of 37 metres. It houses four art installations, mirrored cubes that reflect the room’s intricate design detailing. The ‘Al Barza’ majlis is the largest room in Qasr Al Watan after The Great Hall, and can hold up to 300 guests. A majlis is used to formally welcome guests in the Emirati tradition that ensures leaders govern with the consensus of their people. Don’t miss the 5-minute multimedia show on the history of the majlis and the UAE. The ‘Spirit of Collaboration’ room was designed to host meetings of the Federal Supreme Council, the Arab League, the Gulf Cooperation Council, and the Organisation of Islamic Cooperation. 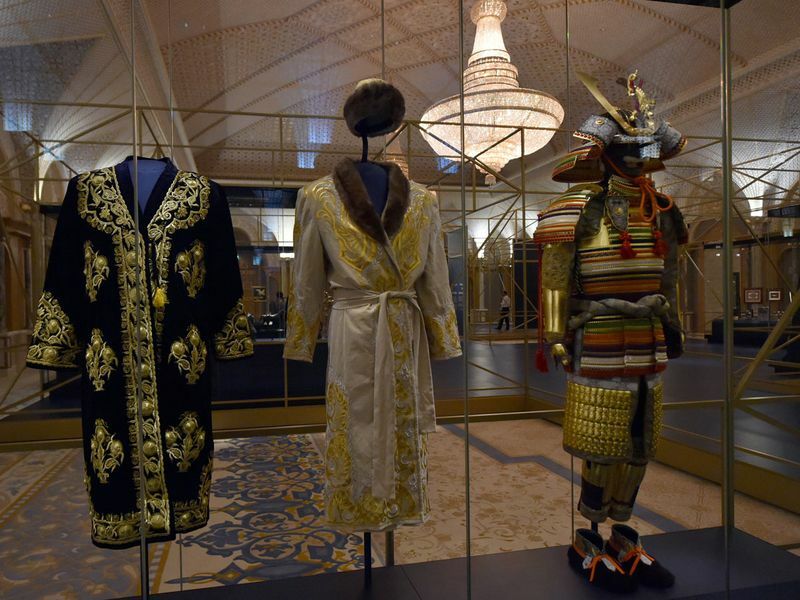 Here you can gain a deeper appreciation of the UAE’s rulers and governing traditions that shaped the Emirates. The ‘House of Knowledge’ is located in the east wing, where you can explore the palace’s vast selection of rare artefacts and manuscripts. They have been curated to document the Arab world’s contributions to various fields including science, arts, humanities and literature. In honour of the 2019 UAE Year of Tolerance, three holy books – the Holy Quran, the Holy Bible and the book of David’s Psalms are displayed together as a symbol of peaceful co-existence. This room showcases part of the collection of diplomatic gifts the UAE has received from foreign dignitaries during state visits. Don’t miss the carpets from Turkmenistan, an ornate sword and shield from Kazakhstan, among others. 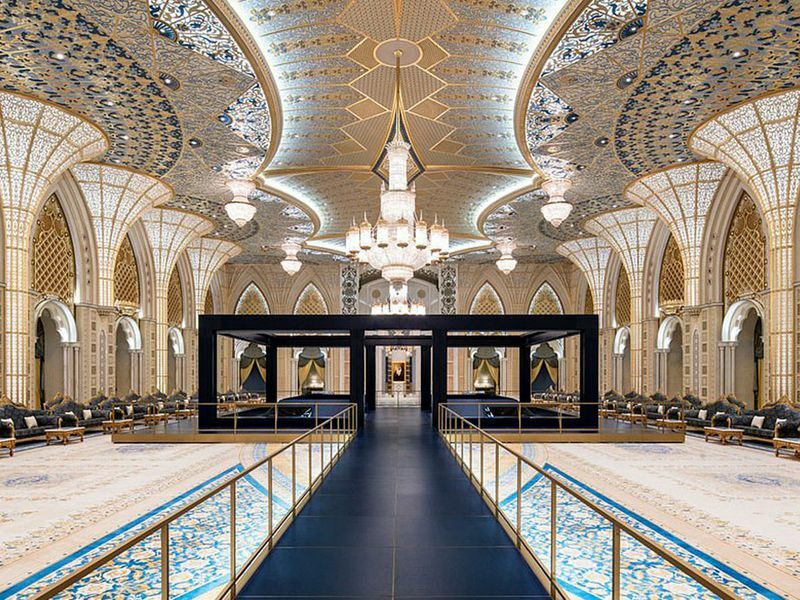 The ‘Presidential Banquet’ hall hosts official occasions extending Emirati hospitality to representatives of close nations and allies. 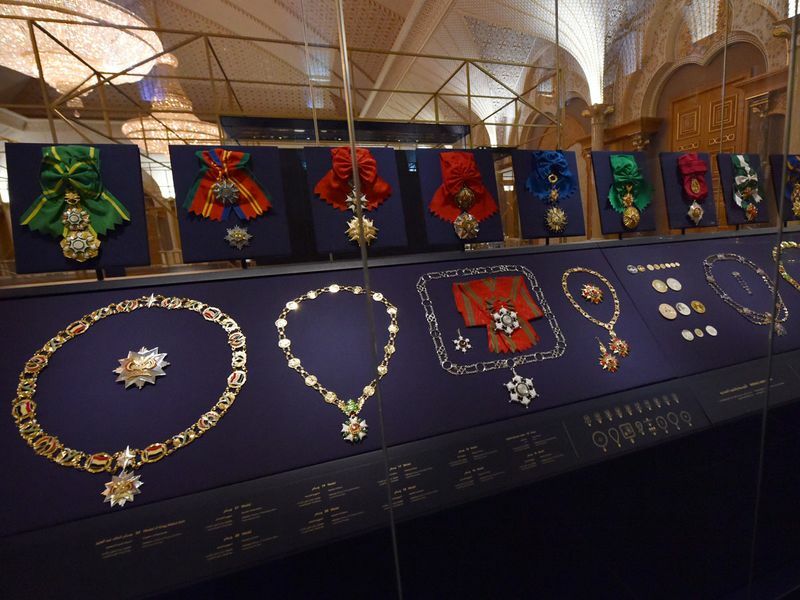 It contains 149,000 pieces of silver, crystal and china that were made especially for the palace. The ‘Qasr Al Watan Library’ houses an impressive collection of more than 40,000 titles, documenting the nation’s history, focusing on archaeology, history, culture, literature and the arts. A digital collection of more than 16 million items is also available. Visitors can access the library free of charge through a separate entrance upon registration at the Visitor Centre. If you are able to time your visit to be there at 7:30pm, you will have the opportunity to experience ‘Palace in Motion’, a spectacular 15-minute exposition. Light and sound is projected onto the palace, telling the story of Qasr Al Watan in three acts, while explaining the past, present and future of the UAE. There is an array of dining options for all tastes and budgets. ‘Dhiyafat Qasr Al Watan’ and ‘Al Fowala’ are sit-down restaurants in the main Palace area. If you’d prefer a cafe, try ‘Maqha Al Maktaba’ inside the library. For a simple option, ‘Legma’ is the grab-and-go outlet located in the visitor centre, Zayed Gate and the main palace. There are two gift shops – one in the Visitor Centre and one in the main Palace, selling uniquely crafted gifts and souvenirs inspired by Qasr Al Watan. Feel free to snap personal photos and videos and upload to social media. You can tag your posts with @QasrAlWatanTour and #QasrAlWatanTour on Facebook, Instagram and Twitter. Please switch mobile phones to silent while visiting Qasr Al Watan. Qasr Al Watan is open seven days a week from 10am-8pm. Tickets are available on arrival, or online from the official Qasr Al Watan website.